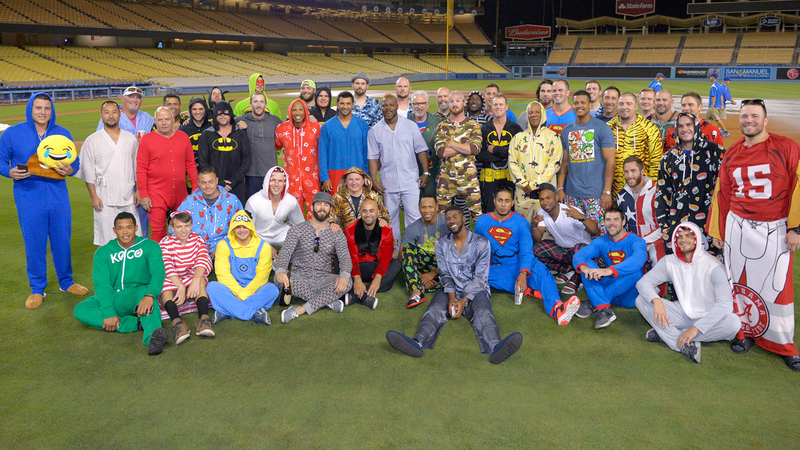 After Jake Arrieta threw a no hitter for the Cubs Sunday night, Chicago manager Joe Maddon rewarded his players with a pajama night. They were flying a red eye, after all. So, while they were more colorful than usual, they were still wearing typical flight fare. I feel like I'm crashing a slumber party every time I fly. Good work all around, though, Cubbies. Keep up the winning.